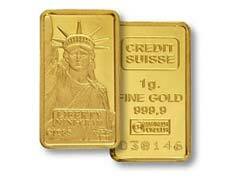 Credit Suisse Gold Bullion Bar – Why Is It So Popular? Combining liquidity of gold bullion coins and low premium costs of gold bars, Credit Suisse gold bullion bars gives you a lot of bang for your investment bucks. A Credit Suisse gold bar choice is always at the top of the list for any savvy investor due to its unsurpassed quality and impeccable reputation of the Credit Suisse mint located in Switzerland. PAMP Gold Bars: Swiss Quality Is the Best! 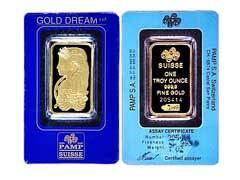 PAMP gold bars are the cream of the crop when it comes to gold bar bullion, and these bars are preferred by investors all over the world. These are manufactured in Switzerland by PAMP, a world renowned bullion refinery which offers the finest quality products possible. Gold Bar Bullion – Where to Buy? 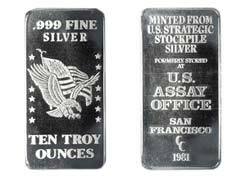 If you are in the market for gold bar bullion then you may wonder where the best place to buy might be. The answer is easy, online using reliable bullion dealers. 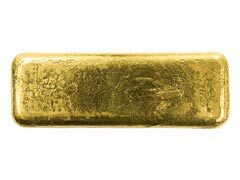 You can also go to your local gold dealer and arrange to purchase this type of gold, but you will normally pay a bigger markup, and may run into problems.